For the Khmer New Year, nearly every pagoda of the country is decorated for the occasion. Go to one of them to admire the colorful garlands, flowers and other decorations that adorned every part of the monument. During your visit, you can witness several traditional ceremonies taking place, especially in the morning when families go to pagoda to offer foods and fruits to the monks and receive blessings. Note: Remember to be respectful by wearing modest clothing and make sure that you are enough covered, also take off your shoes before entering the pagoda. Don’t pass on the opportunity to join the locals who gather at the courtyard of pagodas and other public areas to dance Khmer music and play traditional games such as Leak Kanseng*, Donderm Sleok Cher*, or Teanh Proat*. This is the time to truly get to know the Cambodians and to share together a joyful moment. Laughter guaranteed! Leak Kanseng: multiple players are seated in a circle, one player walks around the circle while singing, and tries to hide a “kanseng” (towel), behind the back of one of the seated players without them noticing. Donderm Sleok Cher: players are divided into two groups and stand 30 feet from each other. A referee will call a number corresponding to a member of each team. The two members will try to be the first to grab the tree branch in the middle. Teanh Proat: a tug-of-war game with teams of boys and girls pitting their strengths by pulling on the rope. This year, Siem Reap Sangkranta festival will take place in the city center located near the Royal Residence. This festival is one of the main attractions of the city during Khmer New Year. So don’t hesitate to go and take a look at what’s going on. Many cultural activities will take place throughout the three days. 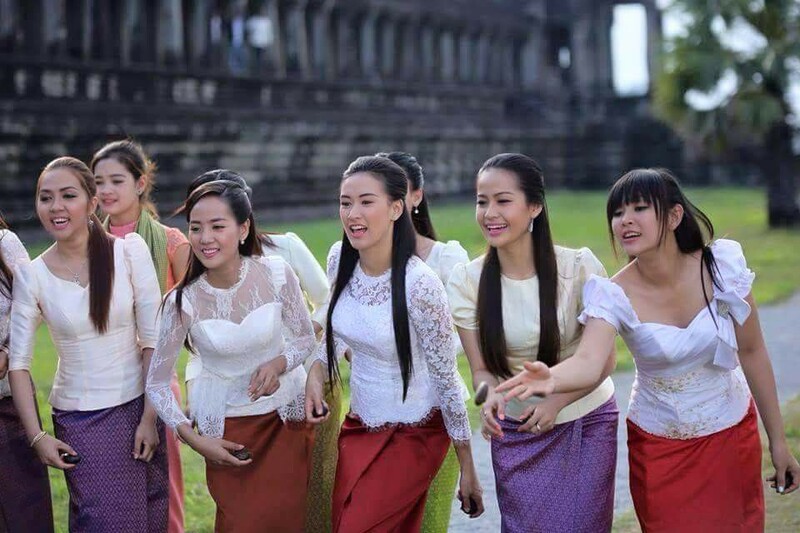 It’s the perfect opportunity to discover Khmer arts and traditions. Also, multiple stalls set up in the area will offer endless choice of street food and other traditional delicacies for the occasion. Finally visit the commercial displays to find handmade souvenirs and other items as your memorable belongings from the Khmer New Year in Siem Reap. We advise you spend an afternoon in a village nearby Siem Reap if you can. It’s the best way to interact with the local Khmer people and experience an authentic celebration of the Khmer New Year. Don’t forget your camera because you will also be able to see breathtaking landscapes, with rice fields and wooden houses on stilts. Finally, for the third and final night of the celebration, if you’re up for partying, wander in the streets of the Old Market area where Cambodians, expats and tourists come together to party and to celebrate the end of the holiday. When it’s time, look up at the sky and admire the fireworks to conclude your perfect Khmer New Year experience.